Chalet Marmotton, les Arcs has five bedrooms all with full en-suite facilities, two of them sharing a balcony. The open plan lounge and dining area has ample comfortable seating around the glass-fronted fireplace. There are French windows opening onto a West facing balcony with dramatic views from les Arcs across the valley to la Plagne. Due to recent road works by the local authorities, access to the chalet is now via five steps making it unsuitable for wheelchair access. However, once inside, there is a lift from the entrance to the floor below: room 1 is suitable for use by disabled guests. 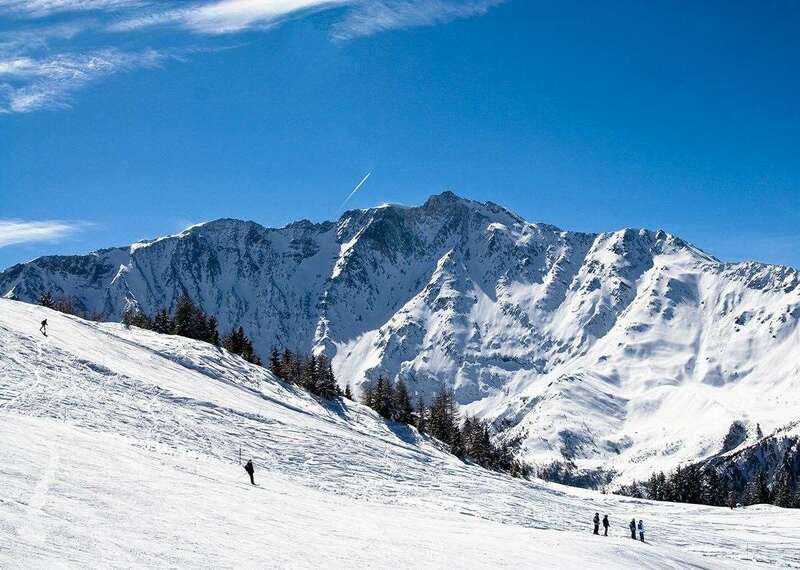 Chalet Marmotton is 150m from the slopes, the ski school and a fast 6-seater chairlift as well as the Vanoise Express cable car that links les Arcs and la Plagne. All rooms can take a cot, and room 4 can take 2 cots. The Chalet Marmotton host lives out. All rooms can take a cot. On arrival in your chalet, handmade pre-dinner canapés and apéritifs will be served to you in the lounge while your experienced chalet host welcomes you to your chalet introduces you to the resort. Start your day with a delicious cooked breakfast that includes bacon, eggs, Heinz beans or hash browns and mushrooms or tomatoes plus a selection of cereals, porridge, yogurts and fresh bread. Homemade Cakes & Afternoon Tea. Please note your hosts will eat dinner with guests.